Are Giveaways an Effective Book Promotion Strategy? Some self-published authors associated with publishing programs like Amazon’s Kindle free book programs have had significant success. The trend of incorporating specific time periods for free downloads of books continues to grow as an effective book promotion method. Additionally, to spread the word about this book promotionstrategy, authors announce they are giving away free copies of their books on social media networks like Facebook, LinkedIn, Twitter and MySpace. They also use services like Scoopit, Pinterest, Floost and their personal book blogs to get the word out about book giveaways. If readers like books they download for free, they may return to online and offline bookstores and buy other books authors have written, as well as printed versions of books. 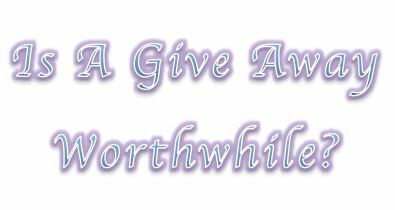 One way giveaways work as a book promotion strategy is for newer writers to receive endorsements from major, established authors during giveaways. When Sarah Pekkanen's first novel, The Opposite of Me, came out, she benefited from having Jennifer Weiner, an established author, plug her work on blogs, Twitter and Facebook. Results of the book promotion effort? Pekkanen's Amazon.com ranking leaped from about 200,000 to 62 in as little as one day. Pekkanen also learned what other writers have learned: "Authors didn’t have to wrestle over scraps of media attention; we could boost each other instead." To determine if book giveaways are effective book promotion practice, Smith Publicity encourages authors to market their giveaways at their blogs, in press releases, on social media networks, their newsletters and other forms of direct marketing. One or more days into giveaways, check book sales at sites like Amazon.com and BarnesandNoble.com. It's also important for authors to check their book sales several days after giveaways have ended. After all, authors don't just want their sales to increase during giveaways, they also want their sales to increase after giveaways end.